Ever notice unintentional trends in your Pinterest pins? 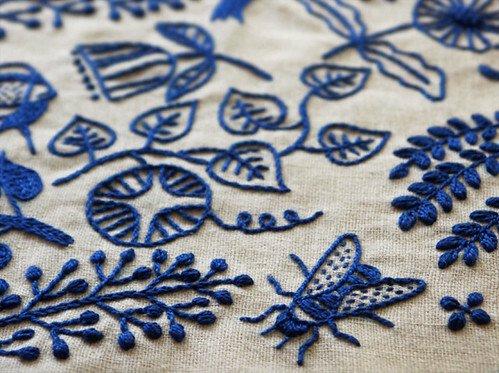 I was sorting thorugh tons of my "likes" the other day and kept seeing beautiful examples of modern embroidery. This craft must be getting popular, because there are so many gorgeous examples floating around the internet! Here are a few of my favorites. They have me itching to get stitching! 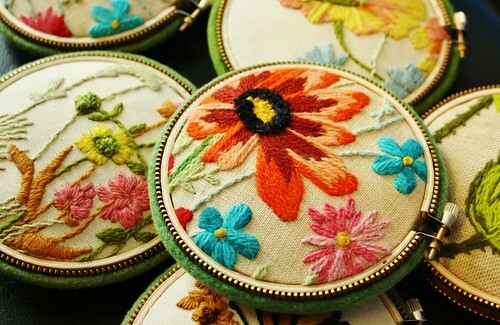 Check out these beautiful pincushions made from vintage crewel pieces. From Odile Gova on Flickr. The embroidery hoops are wrapped with a zipper! Such a cool detail. Stunning work from Yumiko Higuchi. Check out her Facebook page and website gallery for more lovely stitches. Great graphic florals from Aesthetic Outburst. 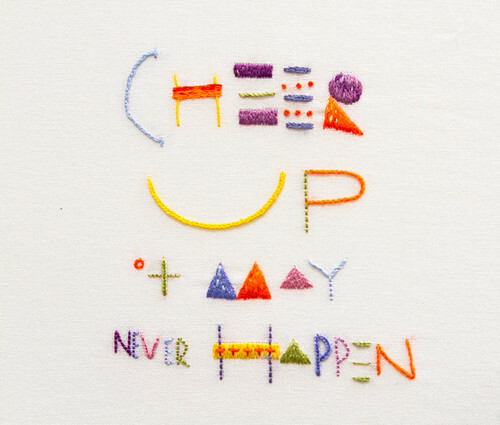 "Cheer up, it may never happen" I've shared the work of Maricor/Maricar before. I love this piece, too. 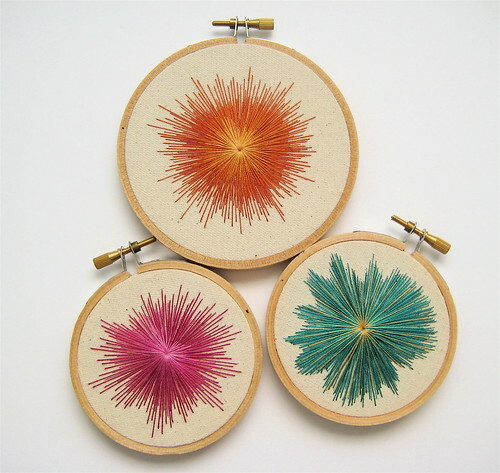 Pretty ombre starbursts, from PhDStressRelief on Flickr. Available for sale in Felt Fuzzy on Etsy. This is beautifull handmade, it takes precision and patience to make it. This Post is really awesome thanks for sharing such an informative post here. Very Nice Collection.Thnx for sharing keep up the Good work..Many Free Embroidery Designs are available. All your submitted designs are pretty good and unique. 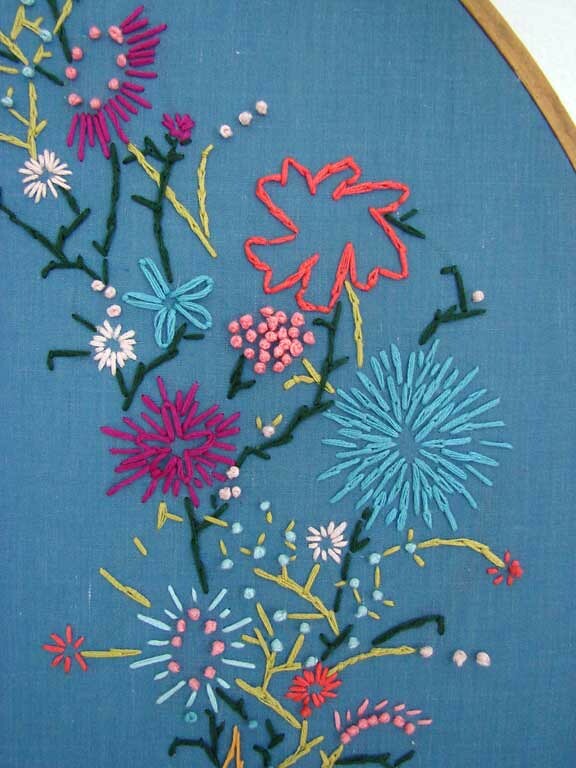 The art of custom digitizing is new trend in embroidery's world. Good work. Assignment Help Online services are helpful to students as they lessen your burden. Students nowadays suffered from so much stress and anxiety to help them out these online assignment services exist. There are plenty of online writing services to help you. You should check all the things before choosing one. Online mode is better than the offline one as it gives you so many benefits.